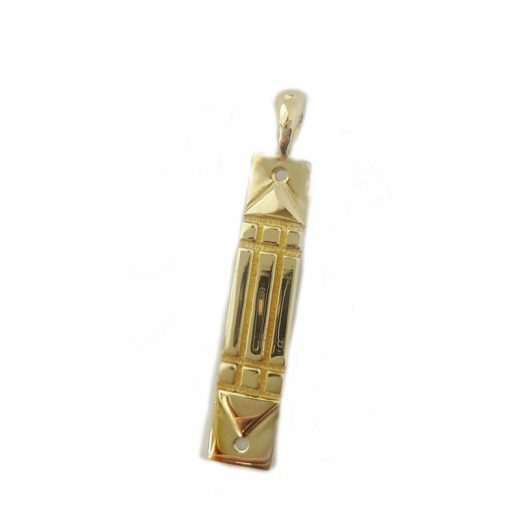 Atlantean bar on the pendant is 30 mm long and 6 mm wide. 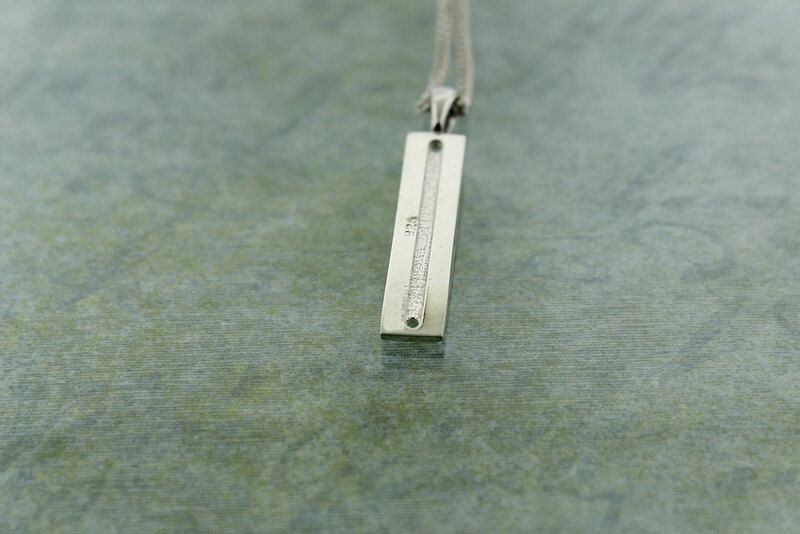 With bail ( ring for the chain ) the pendant is 38 mm long. 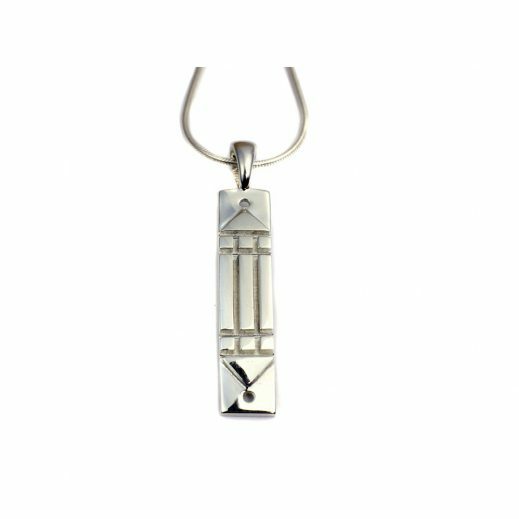 This pendant is sold with or without a sterling silver chain. 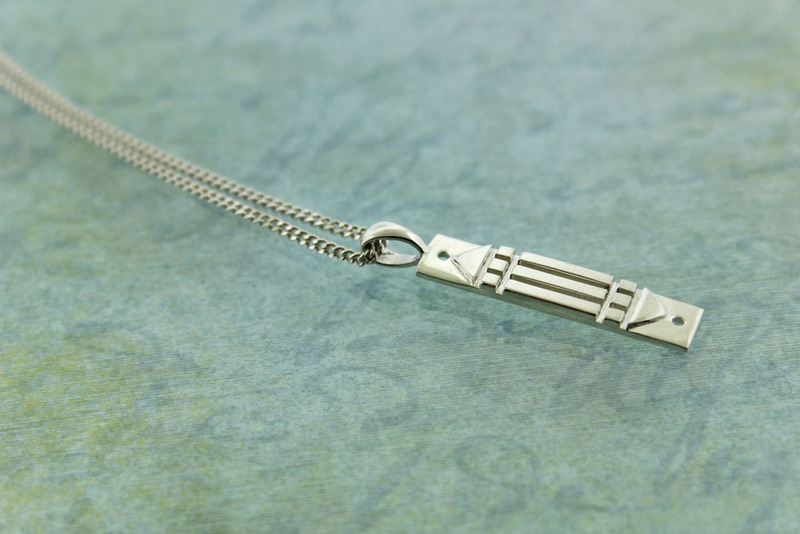 The chain is offered in box style 1.2 mm thick in 2 lengths. Please make your choice on the option box. The Atlantis pendant is based on the Atlantean bar first invented by Andre de Belizal. Belizal baptized the geometry of the Atlantis ring with the name “Wave Form of Luxor” and after carefully studying the geometry of the Atlantis ring, Belizal created the so-called “Harmonizer of Luxor”. A device for the protection of places such as the home or the office. This device has the same shape as the ring, in a rectangular format.